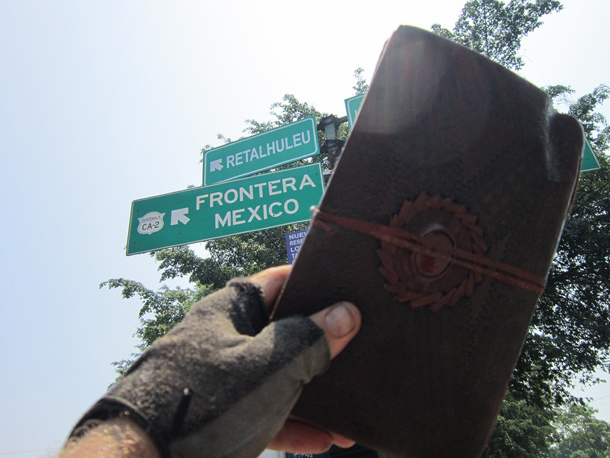 Greetings from El Monstro, the 21 million strong Mexican capital, Mexico City! Looking forward to reaching the Playa now where the air is pure and the only traffic I have to worry about is two wheeled or mutant. Buses, trucks and taxis make conditions extremely dangerous here on two wheels as we compete for space on these chaotic roads. Spirits are high as I enter the final stage of the expedition and I can feel the energy of the tribe now getting stronger with each and every pedal stroke. It’s been a long lonely hard slog out here for the past 9 months having crossed 14 countries and notching up 15 200 carbon free km’s. 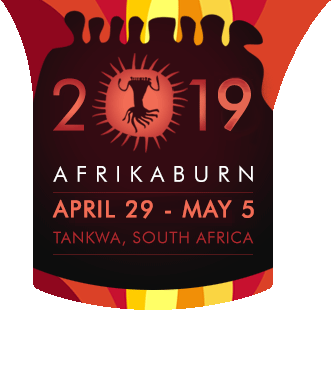 The journal is safe and sound and the priceless cargo containing the hopes, dreams, desires and aspirations of many of the AfrikaBurn community is being well guarded and en route! Due to cross the border into the States in roughly 4 weeks where I’ll be crossing into Arizona and heading north to the Burn via the Grand Canyon and Las Vegas – any hosts contacts or visitors en route are most welcome. The Global Wheeling charity has donated a bike to an underprivileged person in Cape Town, South Africa every month for the duration of the expedition to help promote pedal power and bicycle culture in our developing communities and on that front has been a huge success. 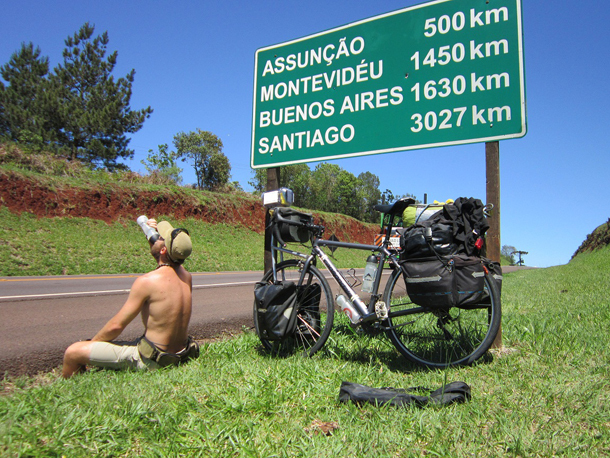 I have been drawing a comparison between the motor car and the bicycle for the entirety of the journey by calculating the carbon footprint that would have been created had the same journey been done by an average sized sedan and have now saved 2280 kg of pollution as a result of this fantastic two wheeled clean green machine, the bicycle. JOIN ME EN ROUTE TO BURNING MAN! Still rallying the troops to join in for the final 2 days of the ride from Reno to the Burn and anyone interested should contact Shani ([email protected]) or me [email protected] to get onboard. Looking forward to having a good old wiggle in the dust with you guys, anyone that has been following the expedition and keen to do an interview for the documentary please make contact via my email address to set up a session at the Burn. 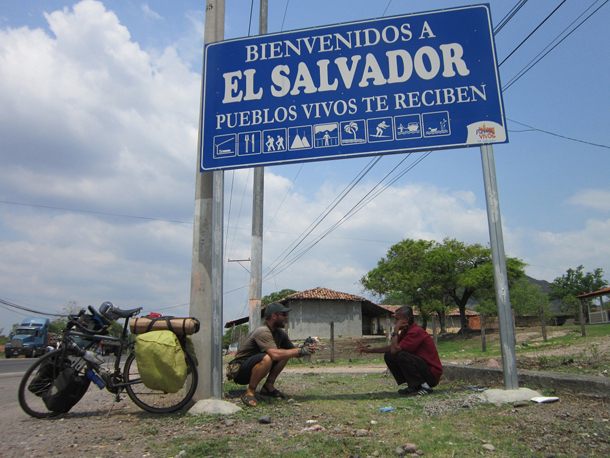 See you all soon and please come visit me en route for a beer and chat to spur me on; will be crossing that border soon! Next Post: HELP LIZZY GET TO BURNING MAN!